After more of this episode and with scenes from episode 5, I’m still puzzled over all the animosity between the Zhaos and Longs. There’s something that happened, but it hasn’t been explained yet. Also, Ren Hu’s intense hatred of anything to do with Tian He is just wonky. 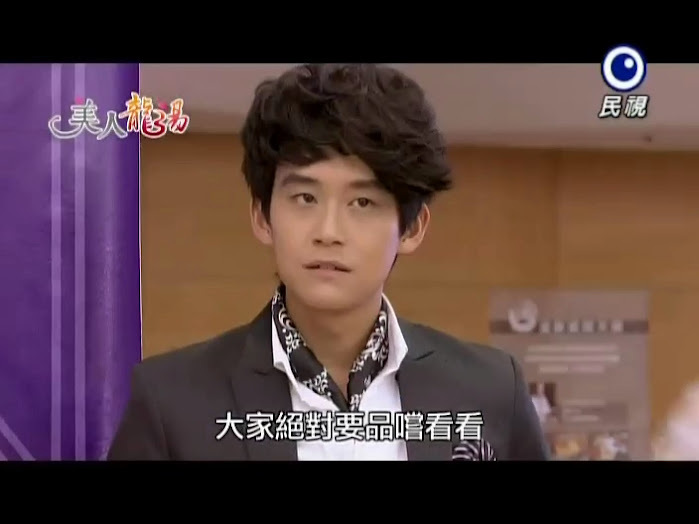 Sure, Tian He has insulted him and shown his fear of fire to everyone… but is Ren Hu’s hatred really justifiable? 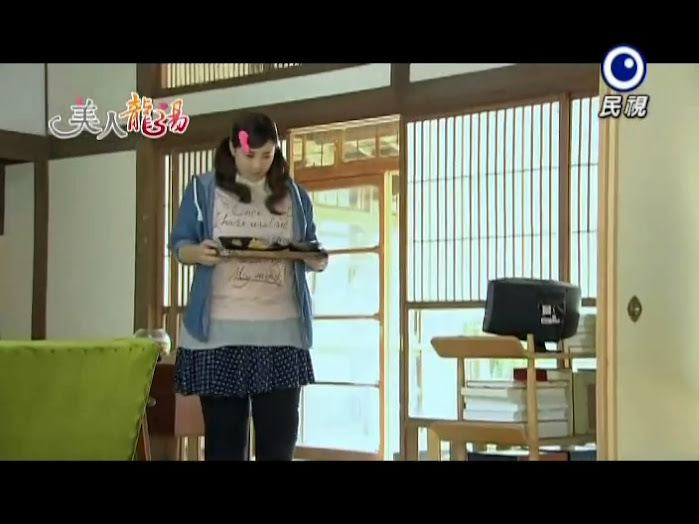 Tai wakes up and Ren Mei brings him a meal made by Ah Pan to help him recover. Tai finds it very odd that Ren Mei is being nice to him. I think Ren Mei wanted to tell him that she was the cause behind his allergic reaction, but she couldn’t bring herself to say it. She leaves and starts cleaning by climbing onto a table to wipe the dust off the ceiling. Tai sees this and immediately rushes over to keep the wobbly table from falling. Ren Mei tells him that she’s okay, but he insists on staying until she finishes to make sure she doesn’t have an accident. Later, Ren Mei is in a shed and screams. Tai comes running and she tells him she saw a mouse. 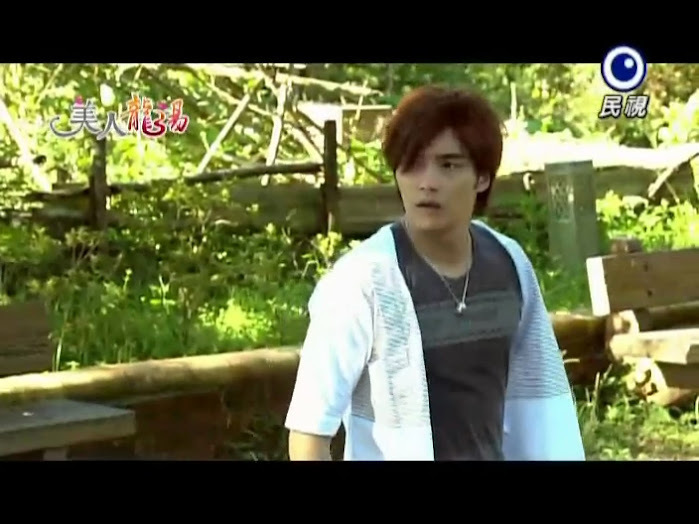 Tai panics as he’s afraid of mice, too, but he tries to put up a brave front and tells Ren Mei she can depend on him. He searches for the mouse, but it had already left. Tai then notices marks on the wall measuring his older brother’s growth. This makes him recall his mother doing the same for him while he was growing up. Meanwhile, Ren Mei sees a picture of the mountains surrounding the springs and recalls asking Ren Hu to take her to pick flowers to give to their mother after her recital. Tai notices Ren Mei’s dour face and asks what’s wrong, but Ren Mei quickly says it’s nothing. The two sit outside and drink a beer together. 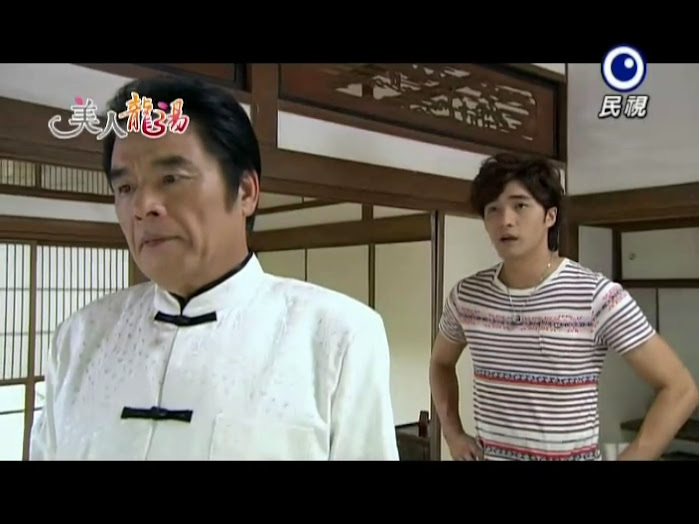 Tai cannot believe how filial Ren Mei is towards her brother. Ren Mei then tells Tai the real truth behind her parents’ deaths. Her older brother and she used to have a great relationship until the day their parents died. He took Ren Mei into the mountains to pick flowers for their mother. I guess their parents went to the mountains to look for the kids after their mother’s recital and that’s when they got into the accident that killed them. Ren Hu was piggybacking the sleeping Ren Mei when he saw their parent’s car catch on fire and explode. From that day on, Ren Hu has disliked and blamed Ren Mei. Sheesh. Another one of these stupid things where people blame themselves and others for events beyond their control. Ren Mei then starts swigging beer and passes out just as Tai was telling her that he isn’t the real Tian He. Meanwhile, Ren Hu is cooking up a scheme to get publicity and tourists to their little village—he wants to do a gourmet competition. Later, Tai goes back to the shed where he inadvertently gets locked inside. Ah Pan looks for him, but can’t figure out where he went. She sits down with Long and Lao Tu and they start discussing just how different Tian He has been since he came back from Japan. This startles Long—have the two figured out the secret? Ah Pan wonders if something happened like in dramas (i.e. Secret Garden) where souls were swapped. This earns her a swat from Lao Tu. Long quickly says that he hasn’t noticed anything different about his son at all. Ren Mei is carrying a stack of boxes and nearly runs into Ah Pan who tries to help. Ren Mei refuses the help and goes out to the shed where she unlocks the door. She is surprised to find Tai siting in the shed. Tai wonders why she’s asking what he’s doing in his home house. He then notices the door is closing again and pushes Ren Mei aside trying to get it before it closes. Unfortunately it’s too late and the two get locked inside the shed together. Ren Mei screams for help while Tai looks through some ledgers and sees just how poorly the Long hot spring is doing. Stuck for the time being, the two have another chat. This time Ren Mei confesses about having no friends. She was bullied for putting on weight and she used to pretend that she didn’t need friends. This gets Tai feeling more and more sympathy for the hard life she’s led. Ren Mei then recalls she has her phone. The two then scurry all over the shed trying to find a good place for a signal. This brings the two pretty close together and both recall the kiss in the dark. Tai finally finds a place that has signal, but it’s up high. Since Ren Mei wouldn’t be able to lift him, he can only try to lift her. With much difficulty, he gets Ren Mei up to where she can use the phone, but he can’t hold the position for very long and ends up falling. Enter Ah Pan and Lao Tu who heard strange noises coming from the shed and came prepared to chase out ghosts. Tian He who is being squished by the heavy Ren Mei yells for them to quickly help. Afterward, Tai has cleaned up when he overhears a guest cancelling their stay over the phone. After this phone conversation, Lao Tu and Ah Pan start arguing over money. Lao Tu yells at Ah Pan for buying more food than necessary when they have no guests. Ah Pan says she must as they have another mouth to feed—Ren Mei. Plus, Tian He is recovering from his illness and needs hearty foods. Lao Tu knows this, but demands she cut down their groceries by half even if that means only eating vegetables. Lao Tu promises to find a way to figure the problem out. Lao Tu goes off to the creek to try to fish while Tai watches from the distance. Lao Tu had no luck even though fish were plenty. He heads home dejected only to be molested by three thugs for not paying them money to use that part of the river. After they hit Lao Tu and send him packing, an angry Tai comes up and gives them a much deserved beating and talking to. He then heads off to the river to catch fish himself. He’s a lot more successful than Lao Tu was. At the Long hot spring, Ren Mei is patching Lao Tu’s already patchy sweater while Ah Pan is putting a patch on his hurt back. Lao Tu thanks Ren Mei for her good sewing and says he can still wear the sweater now for several more years. You can tell Ren Mei knows they are short of cash. She’s also worried that it’s all her fault since she’s an extra mouth and tends to eat a lot. Enter Tai with his catch. He lies and says there was someone who was giving away the fish for free. This way they have meat for dinner now. Enter the village head with news of Ren Hu’s new scheme. He is there to ask Tai to represent the village and give an interview since the Longs won the dragon dance battle. Tai is reluctant, but knowing about the poor state of not just his father’s but everyone’s hot springs, he just can’t say no. The day of the event arrives and Granny Zhao is disappointed that Ren Mei did not come in with the Longs to support her brother. Things started off smoothly until the famous Michelin chef Morita-san did not show up. 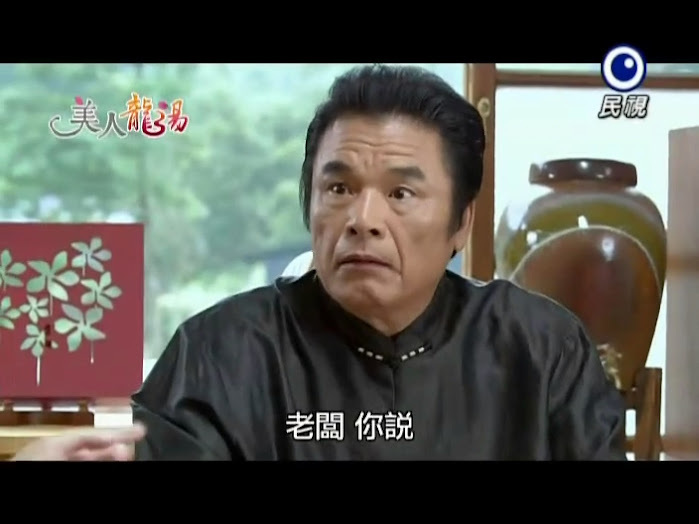 Ren Hu gets a call from the late chef stating he was in a car accident and is at a hospital in the neighboring village. He sends one of his people over to get the chef while Granny Zhao goes running to get a local chef to help out. Ren Mei enters at this time and says she will rush to the neighboring village to get the chef in order to help her brother out. Outside she notices posters for a ballet with pictures of her Aunt Kate. Kate is not a real aunt, but a close friend of her mother’s. Ren Mei wonders if Kate still remembers her when out comes Granny Zhao who immediately calls her granddaughter a giant blemish on the Zhao family. How horrible is it to have that chubby girl standing staring at a ballerina poster? I know Granny Zhao loves her granddaughter, but she has a completely horrible way of dealing with Ren Mei. Long overhears this as well and looks upset. Inside, things are getting out of hand once the reporters learn that Morita has been waylaid. They basically says that Ren Hu is a liar and no famous chef would come to such a remote village. To stop the even from getting out of hand, Tai immediately rushes to the rescue. He yells for silence and immediately starts cooking the last dish his mother taught him how to make. This shocks both Ah Pan and Lao Tu since Tian He never cooked before. Tai’s dish is a big hit with the reporters which makes the Zhao family very unhappy—Long, too. At the Long hot springs, Ah Pan and Lao Tu are celebrating and calling Tai the “idol” of the village who saved the day. Ah Pan then demands to know where he learned to cook. Tai says he inadvertently picked it up from his stay in Japan. How can he make a Taiwanese dish like that, then? The chef had been to Taiwan coincidentally. At this point, Long comes in looking upset and demands to speak to his son. Long then goes and closes up all the doors and scolds Tai for being arrogant and standing out like that. The Long family, to this village at least, only has one son and that is Tian He. Since Tai has no plans on staying, he should stay quiet and be Tian He’s shadow. This infuriates the younger twin and Tai storms off. In Tian He’s room, he angrily slams around causing awards to come falling down. 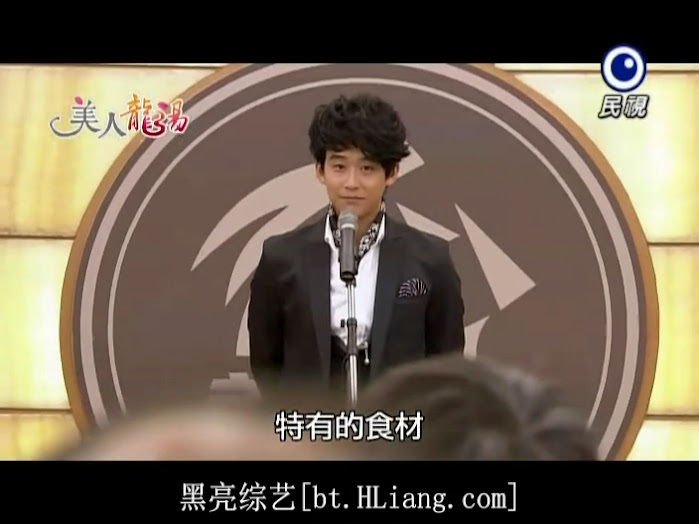 One award had a message from Tian He written on the back. He hates mother’s day and people who have mother’s since he didn’t have any. He wonders if his mother really was a horrible person who didn’t love him like Granny Long used to say—what a witch. Tai then recalls all the love he was showered by his mother. She gave him all the love that she could not give Tian He. This makes Tai feel a bit guilty and since he cannot repay Tian He for all their mother’s love, he decides he will do his best to become a shadow of his brother. 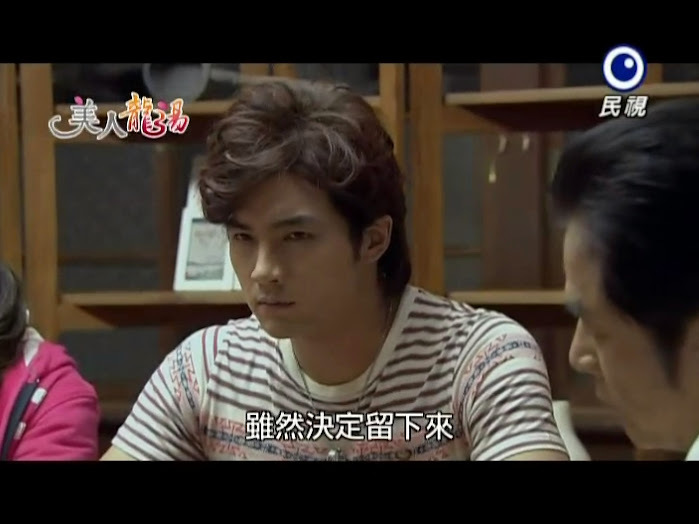 That night at dinner Ren Mei is in no mood to eat after what her grandmother said and Tai leaves the table as soon as he sits down because just seeing his father angers him. This makes Ah Pan feel bad because she made lots of grand dishes with the thank you food from the villagers (since Tai stepped in and saved the town from being smeared with bad press earlier). She then recalls she got a letter to give to Ren Mei. It’s from Aunt Kate! Ren Mei reads the letter and is happy to learn that Aunt Kate still remembers her, but she’s unhappy as she can’t meet Aunt Kate while being so fat. 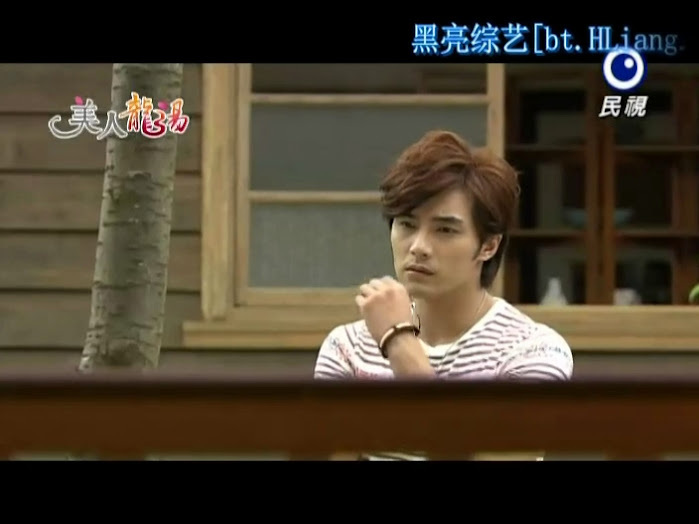 Ren Mei goes outside to brood and Long comes along and tells her that he has many regrets in life. He tells Ren Mei not to be like him and fight for what she wants to do. This gives Ren Mei the drive to start dieting and exercising so she can meet Aunt Kate without being ashamed. I must say, though, that Ren Mei goes about it in the worst way possible. She wears several layers of clothes and works nonstop without even eating. Sure…you can lose weight that way, but it will not be healthy at all and can irreparably damages your body. This makes all the Long household worry over her. Ren Mei finally passes out from lack of food and heat stroke. Tai piggybacks her only so far before collapsing and yelling for Ah Pan to hurry and call the doctor. Granny Zhao overhears Ah Pan rushing the doctor to the Long house to look at the collapsed Ren Mei. Zhao immediately blames Long for overworking and bullying her granddaughter. 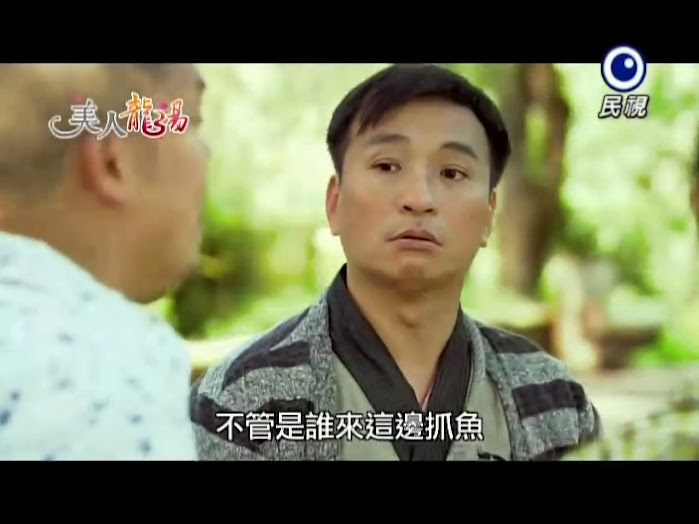 Lao Tu and Ah Pan try to explain that isn’t the case, but Zhao won’t listen and Long takes full responsibility since such a thing happened under his roof. The weak Ren Mei wakes up and says it’s not the Longs’ fault. Zhao doesn’t wish to believe this at all, but Ren Mei insists it was all her doing. She then makes the mistake of saying how the Longs treat her as part of their family, while Ren Mei always felt like a mere servant in the Zhao household. Yikes. I know that Ren Mei was treated mostly like a servant, but she should have tried a different tact to tell her grandmother what happened as this will only cause more misunderstanding and strain in their relationship.